At Nelson Cooper & Ortiz, we have established ourselves among the top commercial debt collection agency in Houston, TX. While our competitors in business debt collection make tall claims, few can match our track record. We employ a highly methodical approach when it comes to recovering B2B commercial debt. We are best placed to redirect your outstanding commercial debts to your business account. Our wide array of services include different types of business debt collection that include recovery of loans, services, products, vendor credits, equipment leases, consumables, B2B debts and payments. How Does our commercial debt collection Services Work? 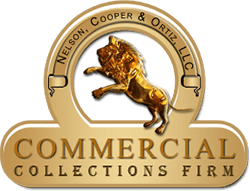 We have we created a niche space for ourselves in commercial debt recoverythanks to our highly skilled and experienced as collectors who have sharpened their skills in commercial debt collection. As a professional business debt collection agency we apply innovative tactics to collect on your past dues. This helps in shortening the time required in the recovery of debt. We employ a specialized work flow process which is custom designed for every case. 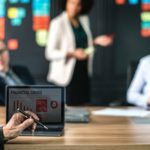 Our custom approach meets unique commercial debt recovery issues related with different industries. To maintain high standards of commercial debt collection services we continuously measure our services against market standard benchmarks. We also quickly respond to all client problems and queries. Our service isn’t limited to commercial debt recovery alone and we go beyond monetary and financial matters. We also offer skip tracing and investigative services which are executed by a team of experts. 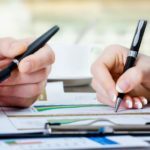 We have created a strong and extensive network of commercial debt collection attorneys in all states and several international destinations who impart legal aid through their expertise and knowledge about commercial debt recovery.